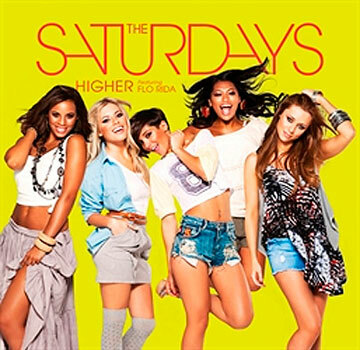 We were a little (see ‘a lot’) disappointed with ‘Missing You’ (the previous single from British girl group The Saturdays) – we thought it was a tiny little mis-step in the Saturdays’ career trajectory. Whoever chose that as the lead single from their new EP ‘Headlines’ should be sent immediately to pop purgatory, especially when you have a perfect Saturdays single such as ‘Higher’ waiting in the wings. To film the video, the girls were sent all the way across the Atlantic, and all the way to the other side of the United States to sunny Los Angeles, where they decided to get out of their gangsta rent-a-car and spread the ‘Higher’ love to countless locals as they dance, prance and sing along a busy street. And it seems everyone loves it too – even window washers and the local constabulary are getting in on the Sats action, taking to dancing in the street. We suppose it’s to demonstrate their willingness to introduce themselves to everyone Stateside one street at a time. No Flo Rida to be found here.